Hello! 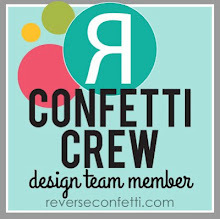 The Reverse Confetti DT has teamed up today with Jennifer McGuire to have a blog hop in honor of our fearless leader, Jen del Muro. :) Hopefully you've reached my blog by way of Audrey's blog, but if you'd like to start at the beginning, please follow the link to head on over to Susan's blog. Jen was diagnosed with breast cancer toward the end of last year. She's been dealt a pretty bad hand as far as the treatment for her type of aggressive cancer, but the prognosis is good. This year will be quite the journey and battle, but she is a strong and very motivated woman. She's done lots of reading up on how she can take on a positive role in fighting her cancer from all angles, including diet and exercise. With only a couple of treatments under her belt so far, she is looking and feeling good, and plans to keep it that way! Her mantra has become a viral hashtag among her friends and crafty peers - #beastmode - and it totally fits Jen's personality! We love her! I've been fortunate to a part of the Reverse Confetti DT since the beginning, and it goes without saying that I am a huge fan of Jen's! :) She is one of the kindest and most generous people I've had the pleasure to design for, she's truly a beautiful person inside and out. Jen gives everything 100%, and I'm sure this will be no different! ♥♥♥ You've got this, girlie!!! ♥♥♥ My heart and prayers are with you, always. Here's a quick run down of my card... I started by adding a piece of dark coral CS to a white card base, then topped it with a die cut from white CS using the Big Stripes Cover Panel. 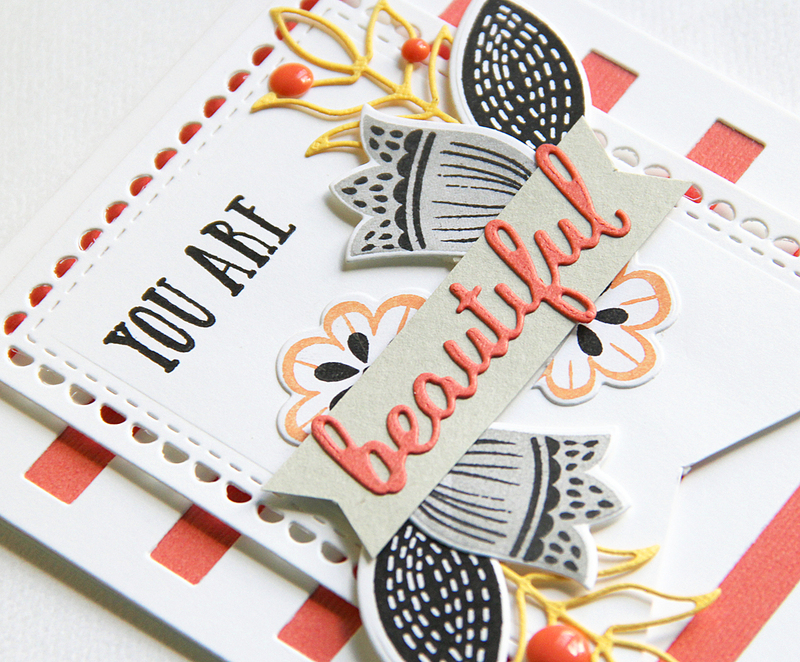 Next, I used the Lacy Scallop Frame on white CS, then stamped it with one of the sentiments from You're So. I then stamped the flowers and leaves from Blooms 'n Buds, and cut them out with their coordinating dies. I cut a banner strip from gray CS, and topped it with a sentiment die cut from the You're So Confetti Cuts. To finish up, I die cut two outline leaves using the Wheat CCs on yellow CS, then assembled the banner and flowers grouping before embellishing with coral enamel dots. Thanks for hopping along with us today... Next up is Amy's blog. Heather, your card is just perfect! Lovely card! Wishing Jen the best in recovery! This is such a beautiful card Heather. I will def. pray for Jen and her recovery! Stay strong! Praying for Jen beautiful card. Wow this card is beautiful! Love the colors. Stay strong Jen!! 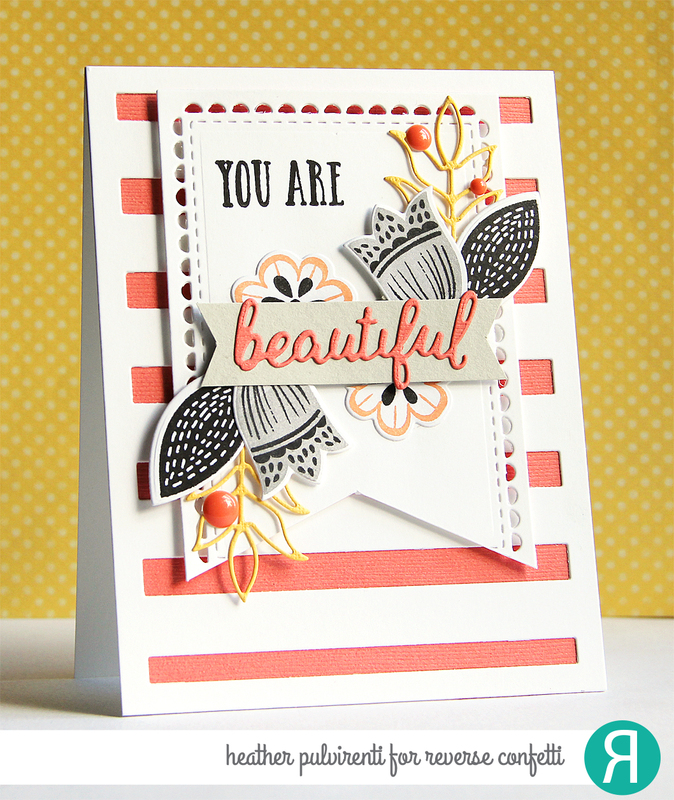 such a lovely card-beautiful design and colors. Jen is sure to love it! What a beautiful card! Lots of wonderful layers and colors! I especially love the Lacy Scallop frame! Wow, I love your card! Esp the layout and colors - what a sweet way to honor your friend Jen! Love that card! The color combo is great! Heather- what a very lovely card for Jen! Jen prayers will remain in place for you! Lovely card for a wonderful hop! You all are just as kind and beautiful for doing this blog hop in her honor. I hope it tells her exactly how important she is to all of you (and to us!) Sending mental hugs!! Beautiful card! Sending prayers for Jen. Between the words that everyone has written and the cards shared, Jen is sure to be uplifted and encouraged. This is a beautiful card. A really lovely card for Jen! The colors are perfect. I always look forward to what you'll make! This card is gorgeous! I love the colors you chose! a big smile when she sees it. Wonderful card...love it!! Praying for Jen. Beautiful card and message for Jen. Heather, this is so sweet! You are so kind to be send this special message to Jen! This is gorgeous and shows who much you care for Jen. Praying for her! Those bold flowers are so fun! Thanks for sharing! Lovely card, the colours are beautiful, the black/grey tones in the flowers work amazingly. 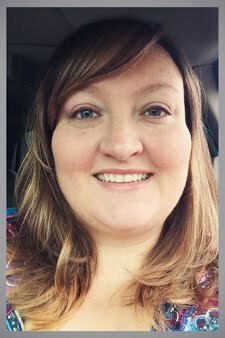 Great blog hop for your friend Jen. Beautiful card and sentiment. May Jen always feel beautiful. Absolutely gorgeous, Heather! Love your colors and those cascading flowers and leaves! gorgeous! love the banner piece you created with the lacey scallop rectangle and the beautiful flowers you made. love it and Jen will too. 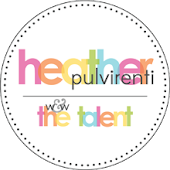 Your card is amazing, Heather! Love your color choices and flawless design! Love the bold contrast of the black and white with the pop of color!